Offers a supportive and stylish seating experience. Deep, soft body cushions and padded arm pads for comfort. Ergonomic side and lumbar bolsters. Black embossed scratch-resistant foot zones and chrome plating on heavy-duty base. Offers a supportive and stylish seating experience. Deep, soft body cushions and padded arm pads for comfort. Ergonomic side and lumbar bolsters. Soft touch leather and eco foam. 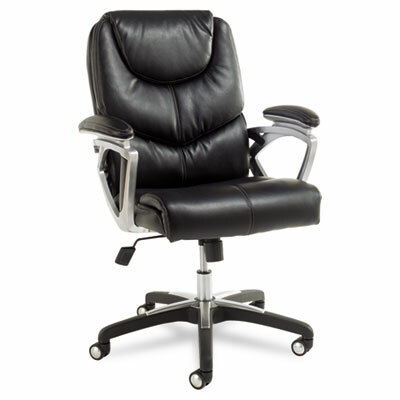 Black embossed scratch-resistant foot zones and chrome plating on heavy-duty base. Quick and easy no-tools, no-hardware assembly.